I designed the storage system and have assumed all responsibilities for filling the water containers and replacing the water every two years. In my absence, that responsibility falls to the oldest member of the remaining family who is also responsible for the continued upkeep of this operating instruction and ensuring that it is available to all group members. If group discipline problems erupt in using the water, that person acts with the authority of a group leader. I may be gone, but I’m watching from heaven! Refreshing Water: The blue, plastic, storage containers at the ranch and in the city must be emptied and refilled every two years and the date of refill annotated with the black marker on top of the container. A marker is stored on the top row of blue plastic storage containers at the city and ranch locations. After draining, rinse the containers with a solution containing 1/4 cup of household bleach per gallon of rinse water. The bleach should have been purchased within the six months prior to use. Refill from a reliable water supply, such as the functional city water supply or the ranch well. Cross out the last date and annotate the current date of filling. Make sure that the bung wrench, marking pen, and Katadyn filtration kits are replaced on the top row of containers. Do not stack the containers more than four high. Opening Water Storage Containers: The bung wrench can be used to make it easier to open the white plastic filler caps. Place the socket portion of the bung wrench over the white plastic filler cap and turn the wrench counterclockwise until the plastic seals break and you can then freely turn the cap to complete opening. After filling, use the bung wrench in a clockwise direction to tighten the caps. Always cap the containers when they are not being used. Return the bung wrench to the top row of containers after use. Safety When Emptying Water Containers: A full blue water container weighs more than 40 lbs and should be handled by two people, if possible, to avoid injury. Placing a container on a waist-level surface and tilting it to dispense water is recommend, versus trying to hold it and pour, at least until the container becomes progressively empty with use. Storage Amounts, Ideal Locations: Current storage locations are out of any direct sunlight to preserve the life of the plastic. Any change in location should ideally be cool and dark. Twenty-five blue, plastic containers are located in the garage in the city, and 20 are in the basement of the ranch cabin. If the group increases, adding one 5-gallon container per new member will maintain the intended duration of the supply of three days in the city and five days at the ranch. Less is needed at the ranch due to the presence of a lake and a well, which can be accessed, if needed, without power. Refer to the operating instruction “Operation and Maintenance of Ranch Well Pump and Well Use by Bucket” in the main binder. Emergency Water Use: Emergency water is to be used for cooking and consumption only. As much as possible, hygiene and hand washing are to be done with wet wipes and hand sanitizing gel, which are kept in our city home and ranch cabin in the bathroom and kitchen areas. (See “Inventory of Survival Items” for locations and amounts of stored hand sanitizer and wet wipes. The list is in this binder.) If water being dispensed at time of use is not clear or has an odor, it must be considered unreliable and processed through a Katadyn filter. The person responsible for the maintenance of the supply will supervise any dispensing of the water. This is to ensure that he or she is aware of the condition of the supplies and that water is not overused or wasted. Truck Distilled Water: The water in the truck is distilled water, purchased at retail and stored in the truck tool boxes in the original, unopened 2.5 gallon plastic containers. An extra key to unlock the tool boxes is secured in a magnetic box affixed to the rear of the cab, in the space between the cab and the truck bed. The purchase date of the water is marked on top in black marker. This water should not be kept for more than two years without filtering it through the Katadyn filter system, which is stored under the front passenger seat, before use. 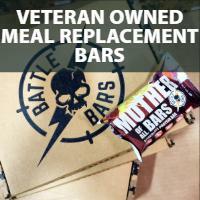 As food supplies in the truck are military MRE’s, it is not necessary to add water to the essential food items. Water is to be used for drinking only. There are packages of sanitizing wet wipes in the tool box for hygiene use under the rear seat of the truck. The person responsible for maintaining the supplies will also supervise any dispensing of the water. The valves on the containers are pulled open for dispensing and pushed shut to turn off the flow. Ensure that the valves are fully closed before returning partially full containers to the tool box. Duct tape that is found in the tool boxes can be used to tape over the closed valves to prevent accidental opening and loss of water. Water Consumption: Water use during an emergency is not accurately predictable. Too little water consumption can be a danger, so a ration of water per adult member should be consumed regardless of how thirsty an individual feels. Overuse can result in shortage. Use of the supply for anything other than consumption will directly reduce the length of time the supply lasts. General needs are one gallon of water per person per day, for consumption only. Any use of the water for cooking, adding to dehydrated food, or for hygiene is not included in this one gallon amount. Water used for powdered drink mixes is considered water for consumption. Members may need more than one gallon of water due to pregnancy, illness, age, activity, climate, and diet. Those who are not physically fit may need more water with heat and increased activity. In very hot weather, predicted use is double, at two gallons per day. The length of time the water supply lasts will, therefore, depend upon the group’s proper use of what is stored, climate, and unforeseen changes in the group size, make-up, and health needs. All water containers and Katadyn filtration kits were purchased from Sierra Survival Supplies at Washington and First. Bob, the owner is the best contact point. Containers are also available from Redoubt Water Supply and Service next to the old city hall on Main Street. Amazon.com is also a good source for replacement items. Operation and Maintenance of Ranch Well Pump and Well Use by Bucket. Each Katadyn kit contains a folded sheet of instructions to refer to. Orange-colored Operating Instruction Binder is maintained in the city house gun safe. If you don’t know the combination, ask another member who bothered to remember it or can tell you where the combination is secretly stored. Now is the time to make sure that those who might need it when SHTF know that it exists and where it is. It provides a great reason to sit the family down for a meeting and to bask in the glory of your latest preparation accomplishment. Don’t be surprised if the meeting in which you planned to receive adoration turns into having immediate things that need to be changed. Is it a failure? No! You just discovered a hole or gap in your preps, a potential Achilles heel. Now you can fix it. This is a good thing. Where you keep the binder should be based on its contents, in terms of security. If you have an instruction containing information you don’t want anyone other than your survival team to know, you need to secure your binder of instructions. I have an instruction covering sensitive financial information and caches, for example. So, my operating instruction binder is kept in a safe, and those with a need to know have the combination memorized or know where the combination to the safe is hidden. You can also choose to separately maintain operating instructions that have sensitive information. As far as protection from the elements, an ideal location would be with your stash of important papers and documents that you have collected for a possible bug-out. I’m a scrounger, so I try to avoid new expenditures. If you have some good office supplies on hand, you may be happy with those. Ideally, I have found that a flexible and sturdy 3-ring plastic binder in a bright color, with each instruction printed off and then kept in a document protector is great. 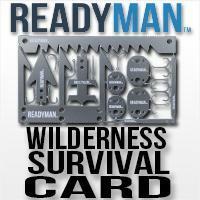 I’ve listed some outstanding survival-oriented products below. They don’t have to be done on computer and then printed; they can be hand-written in durable ink, crossed-out, and written over. As long as they are legible, they are useful. Hand-written is preferable, if you are more likely to complete them that way. You will also be less likely to include unneeded information. Flexible and sturdy binder—goat proof, too! Great document protectors—3-hole and zippered, a bit pricey. Weather-proof paper—costly but what price does one put on readability when wet? Putting together operating instructions has not been as fun as designing a mini-survival kit or mastering eight ways to start a fire, but it has proven not too difficult to accomplish. Operating instructions can be done with a word processor, or written by hand. If you are compulsive by nature, enlist your spouse or another adult family or group member to keep you from writing an encyclopedia. Also, whether your write these by yourself or with help, the very process will do something you probably have been doing inadequately and infrequently, and that is doing a real review of your preps. Keep this task limited and you may very well find, as I have, that the process of writing instructions is actually an overall time-saver and helpful organizer.